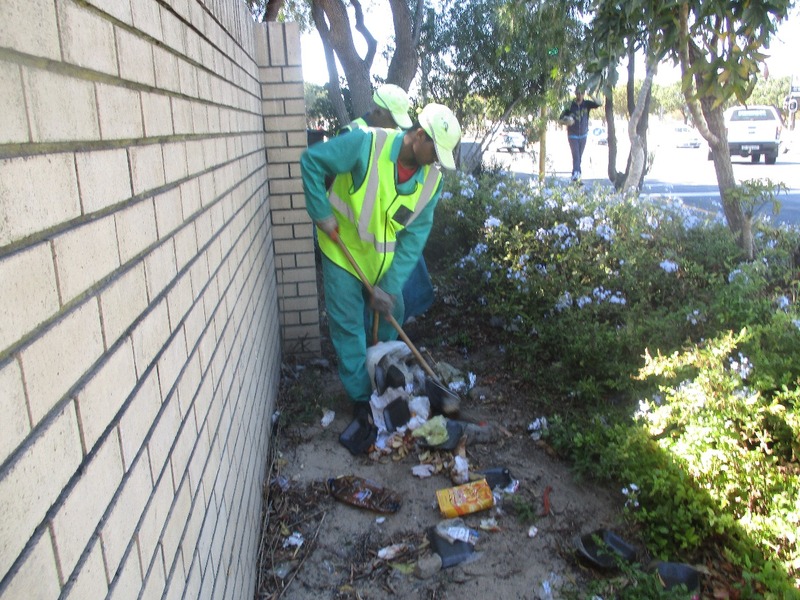 In Tygervalley, the Cleaning and Maintenance team of the TVID makes a visible difference in a number of ways that certainly bring about a positive change and improvement. 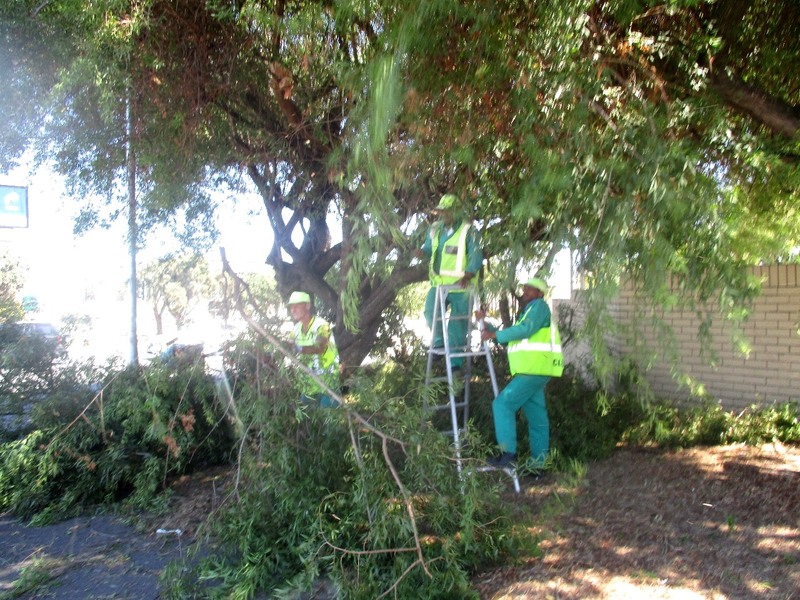 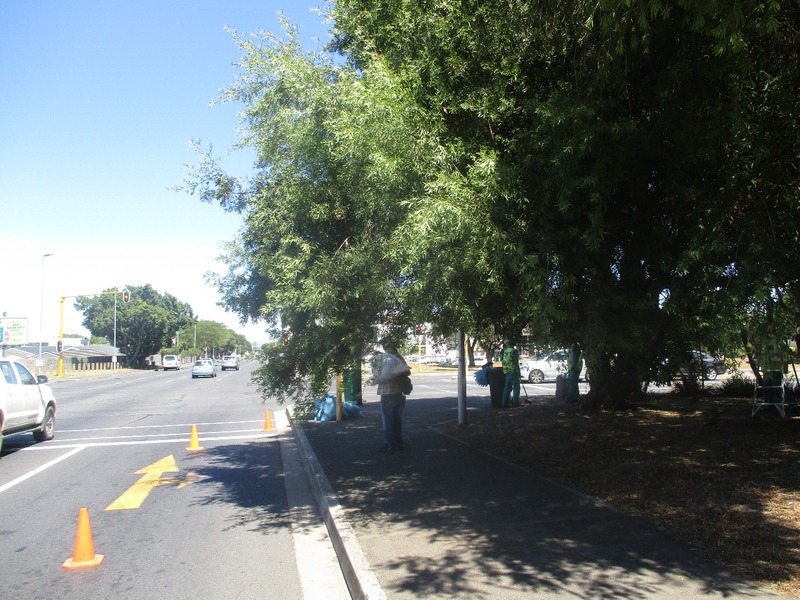 Amongst other things, the team deployed to cut the branches of trees hanging over into the street and the sidewalk, where it had become difficult for pedestrians to walk and for cars to see the traffic lights on the corner of Durban Roadand Bill Bezuidenhout Street. 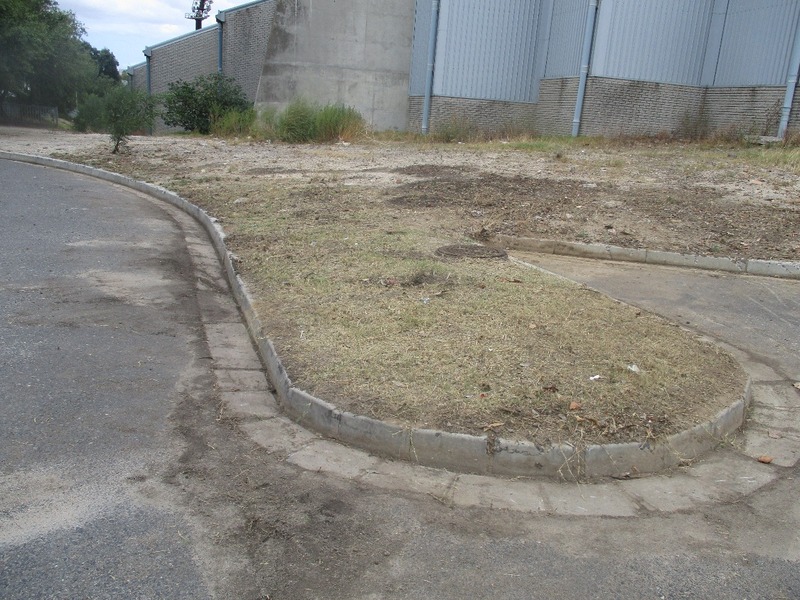 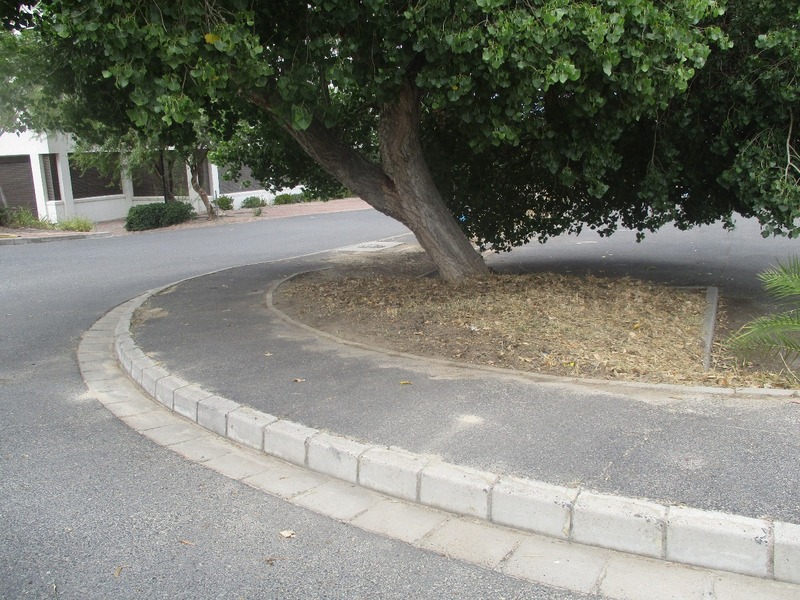 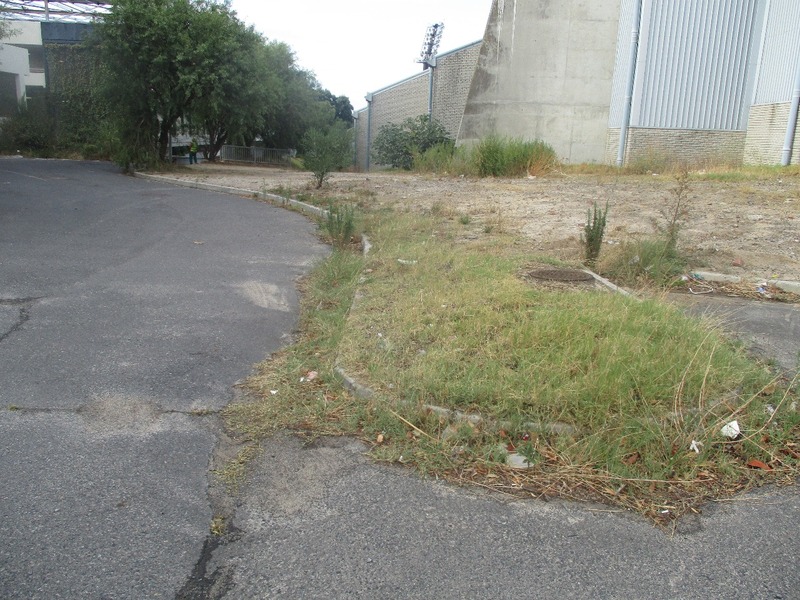 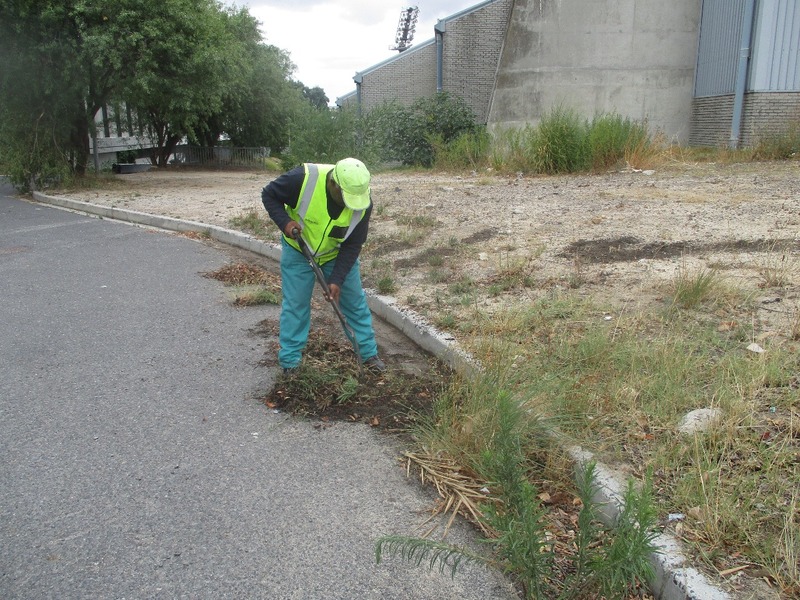 On 24 February 2018 they were deployed to cut the grass and to de-weed at Sportica Street. 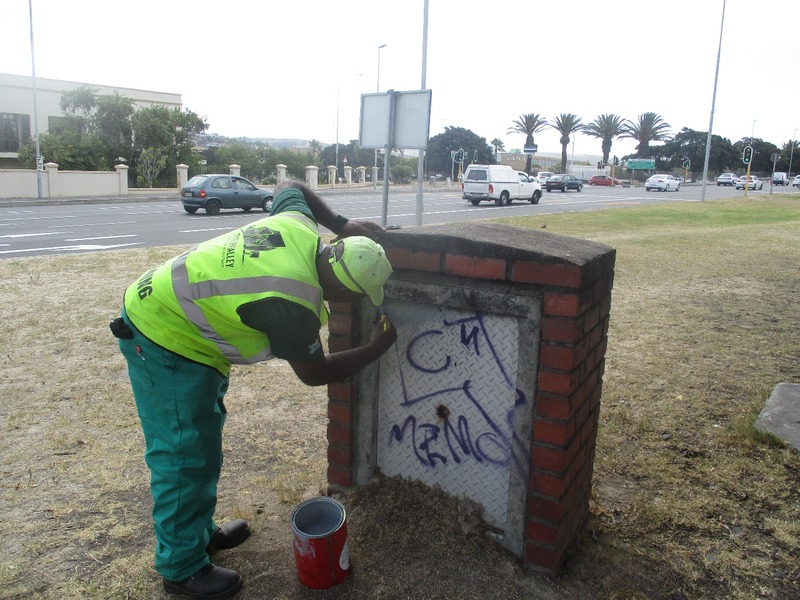 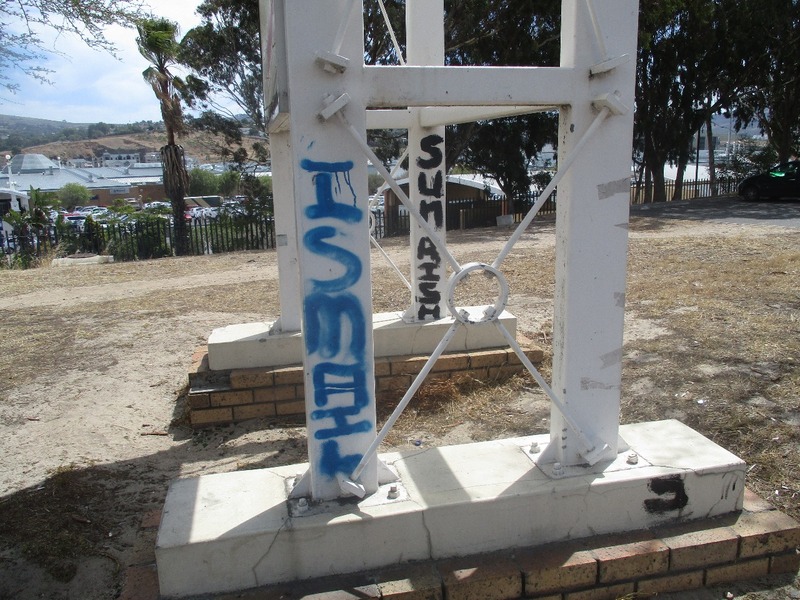 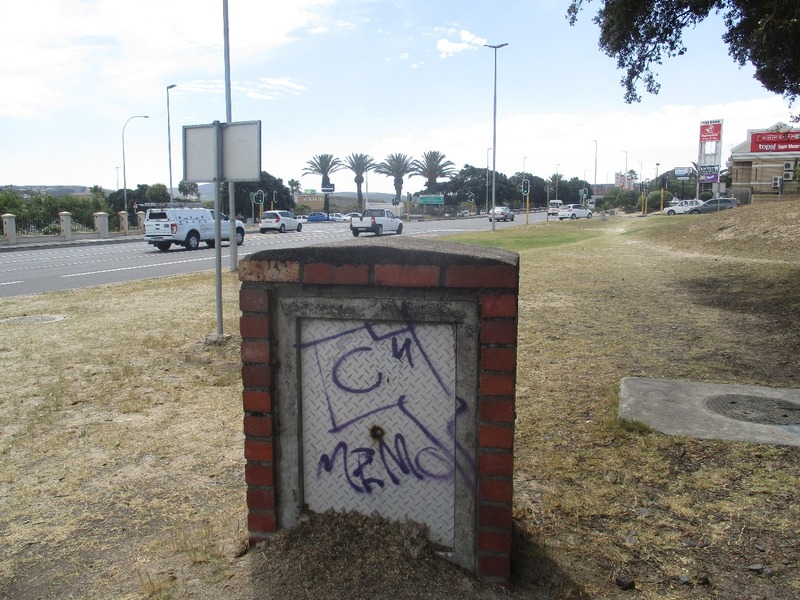 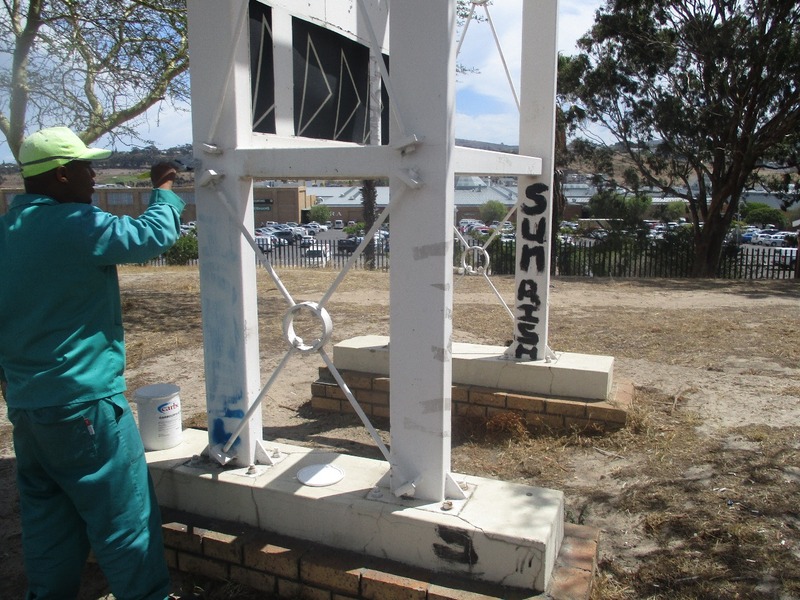 On 6 March the team were deployed to remove all graffiti in the area. 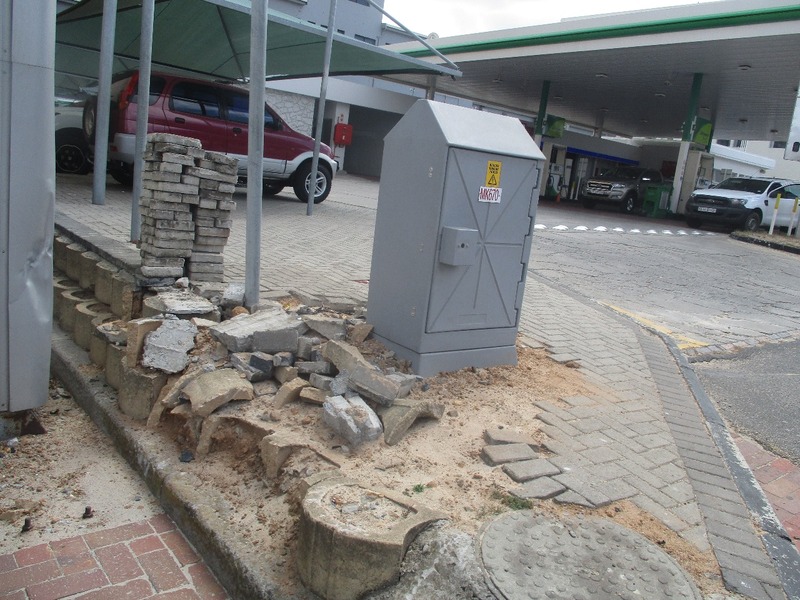 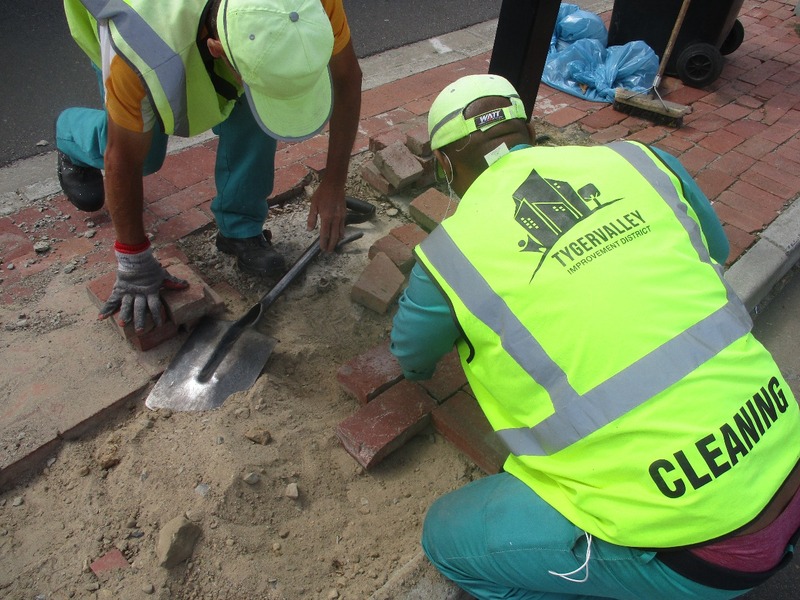 On 8 March they were tasked with repairing the paving in Carl Cronje Street close to Santam and at BP Garage in Durban Road. 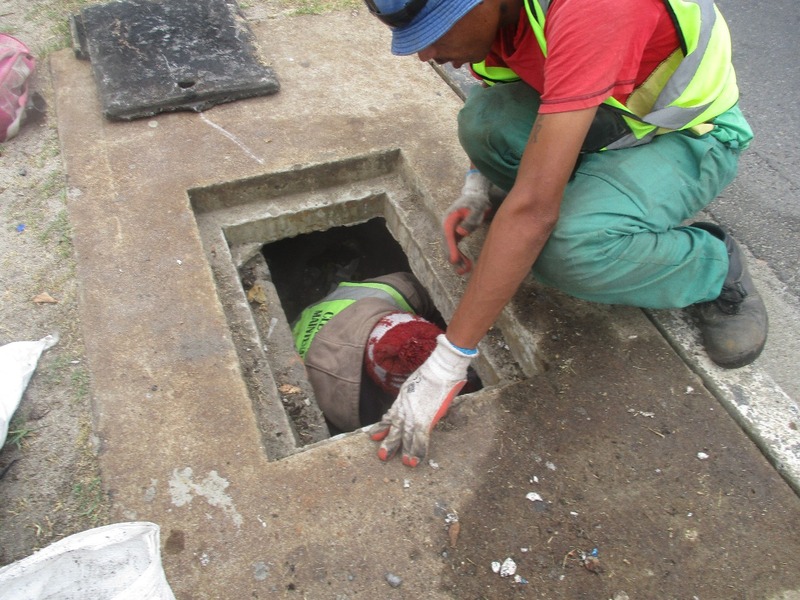 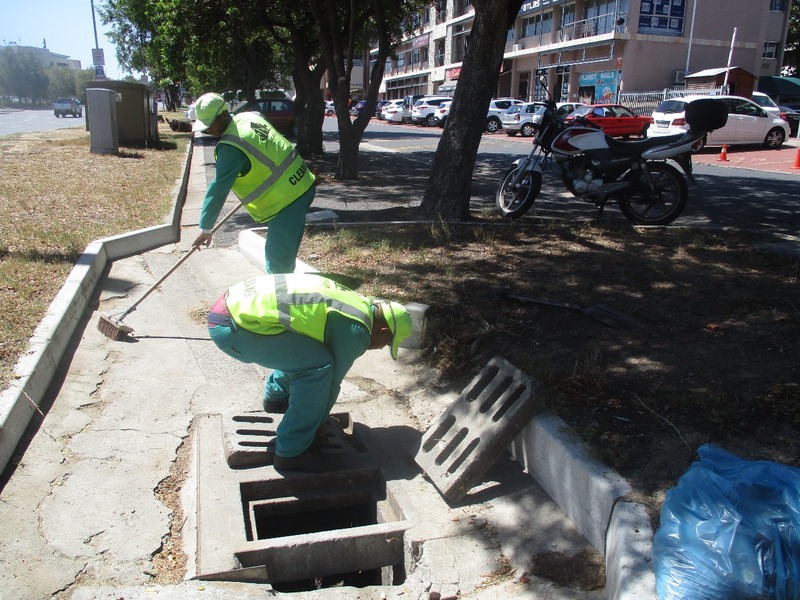 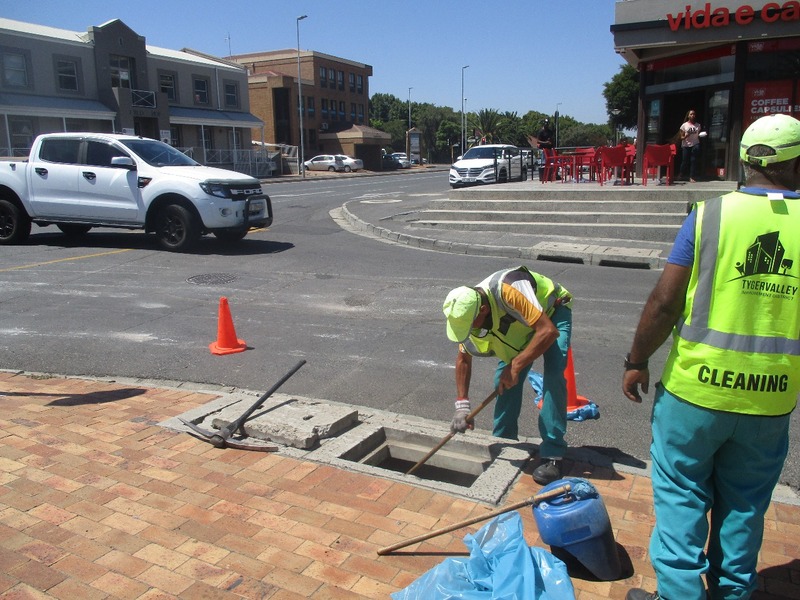 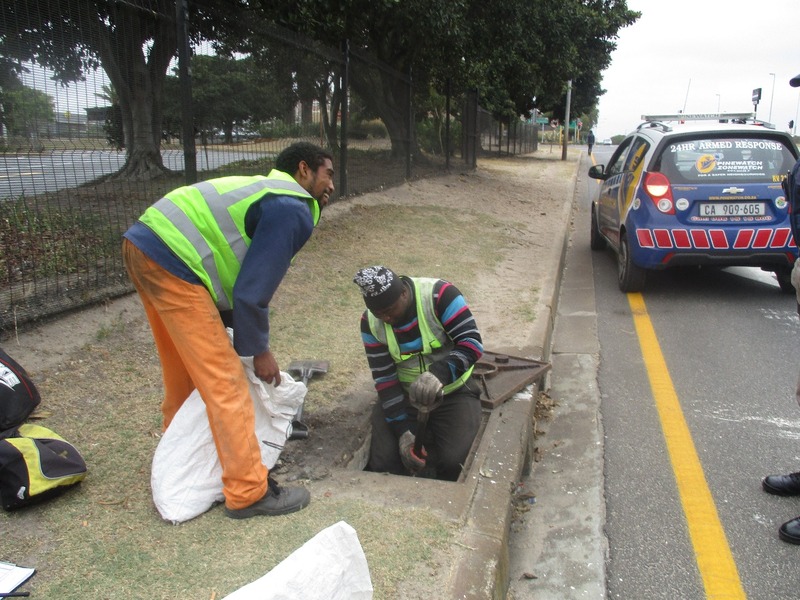 Working hand in hand with the City of Cape Town, the TVID Maintenance Team cleaned the drains in preparation for the rainy season during winter. 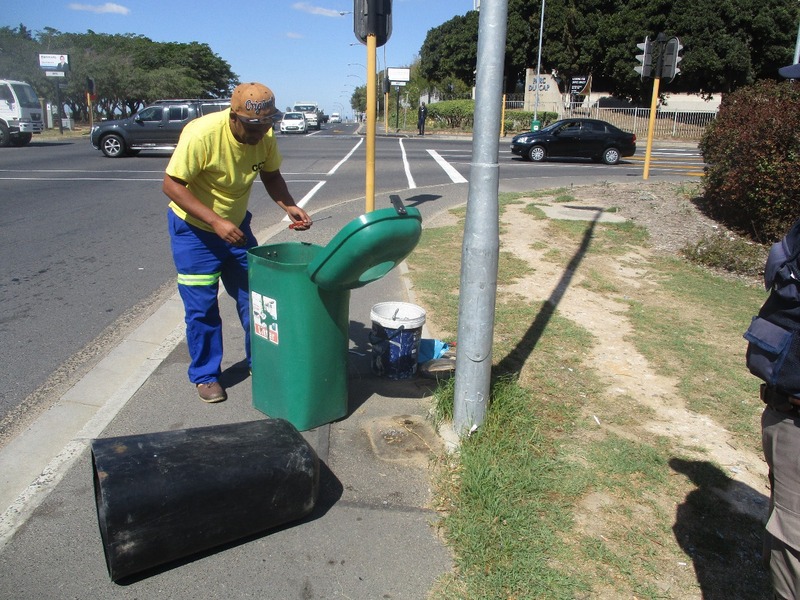 On 16 and 26 March 2018 the City of Cape Town’s Cleansing Department replaced 9 green bins on Edward Street with new ones, as well as replacing the inners and strapping the green bins in the area. 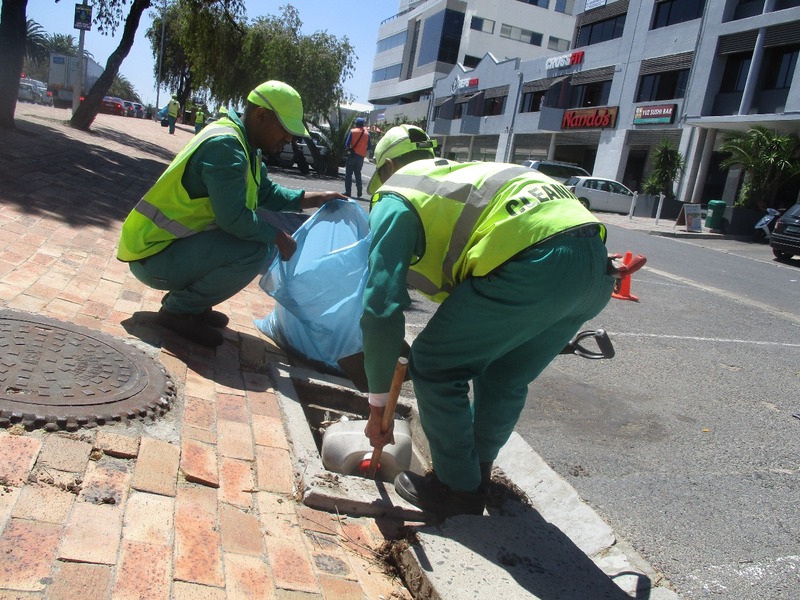 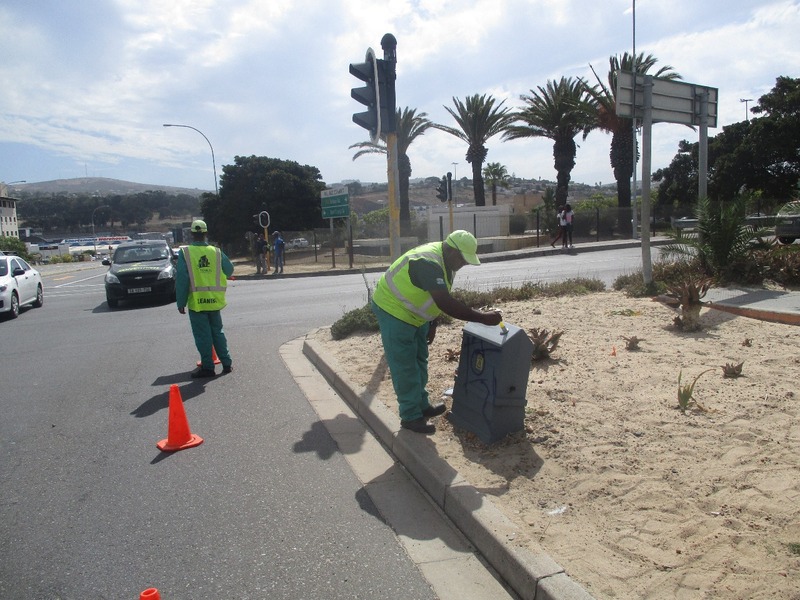 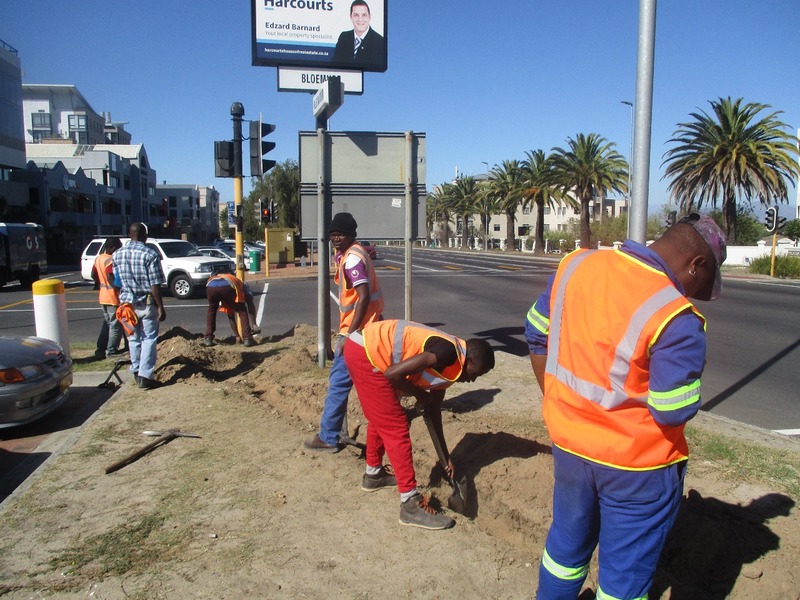 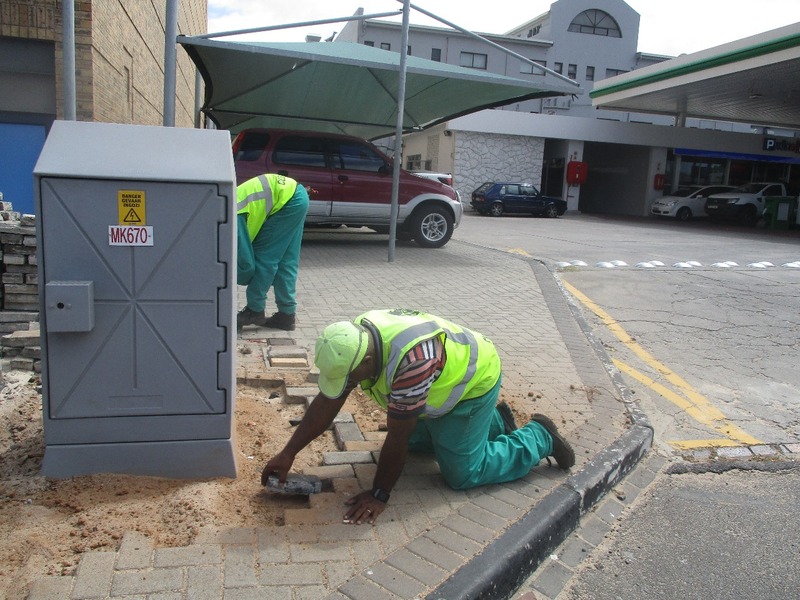 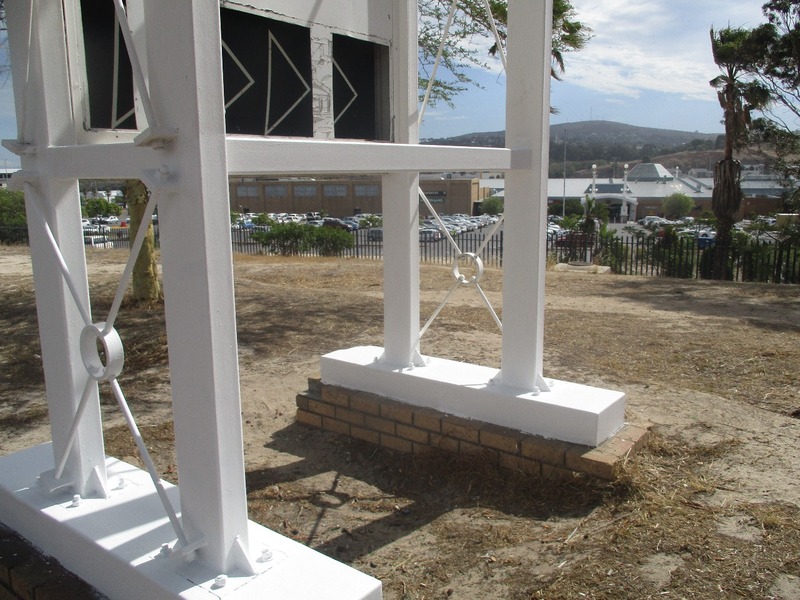 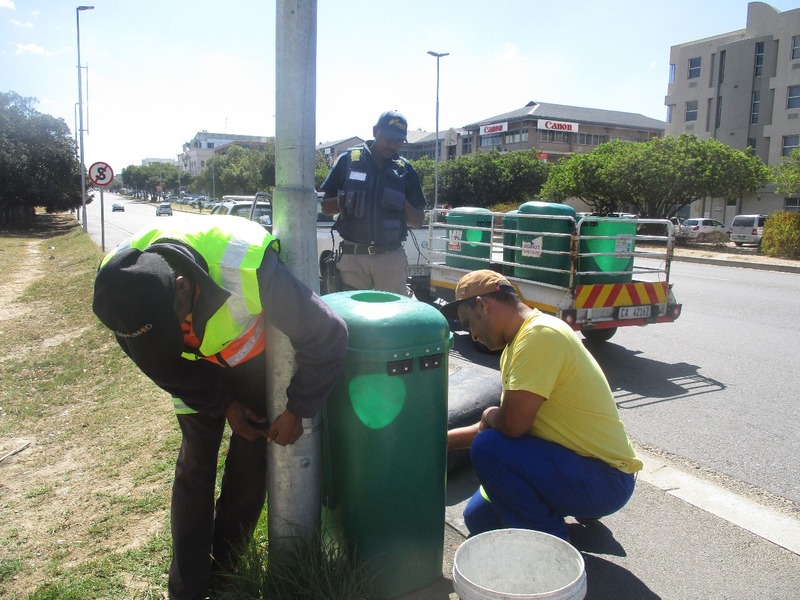 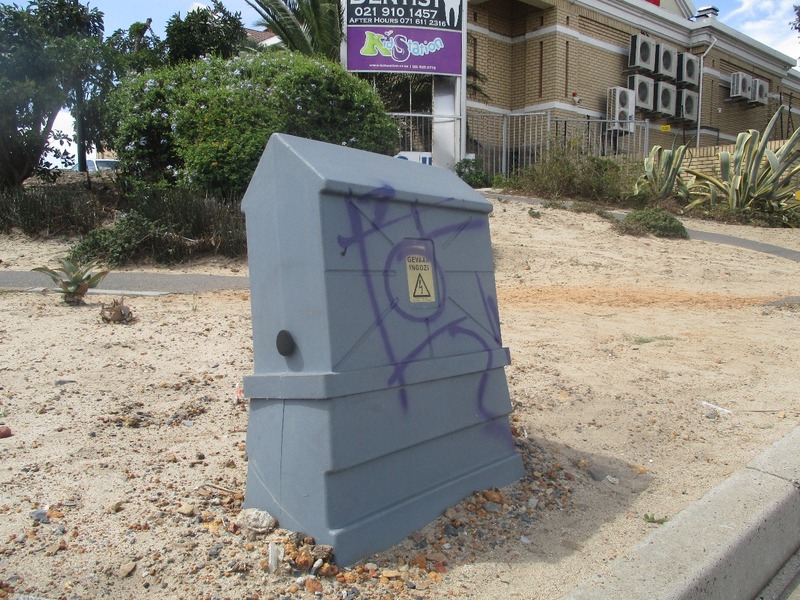 Also during the course of March the City of Cape Town’s Traffic Signal Maintenance Department installed new cables for traffic lights on the corner of Willie Van Schoor Street and Bloemhoff Street (see accompanying photographs). 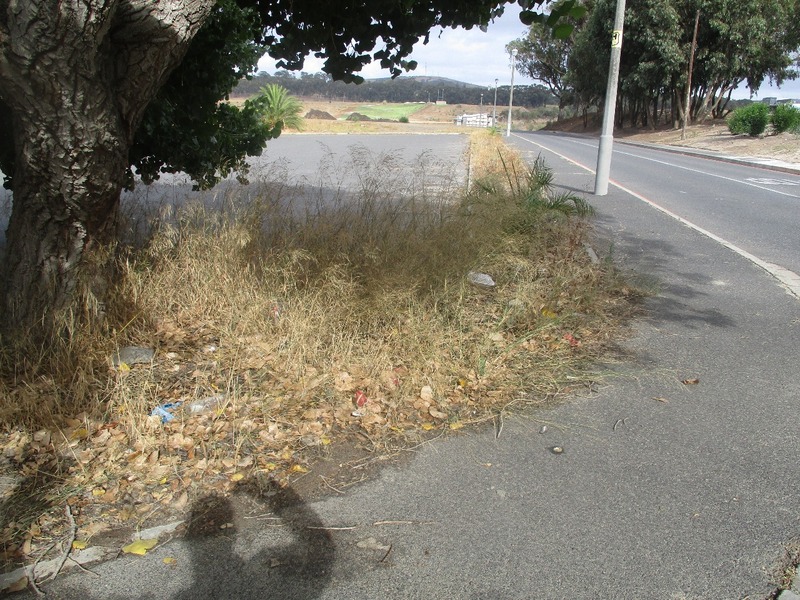 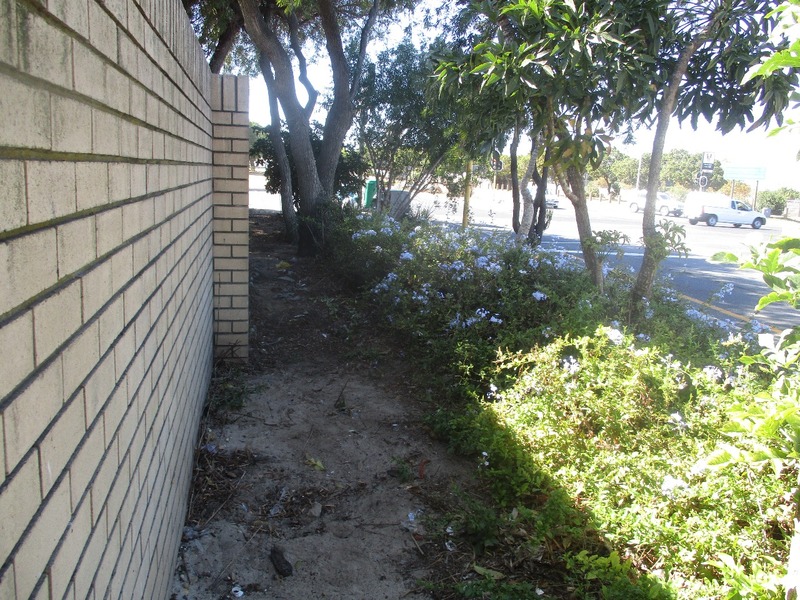 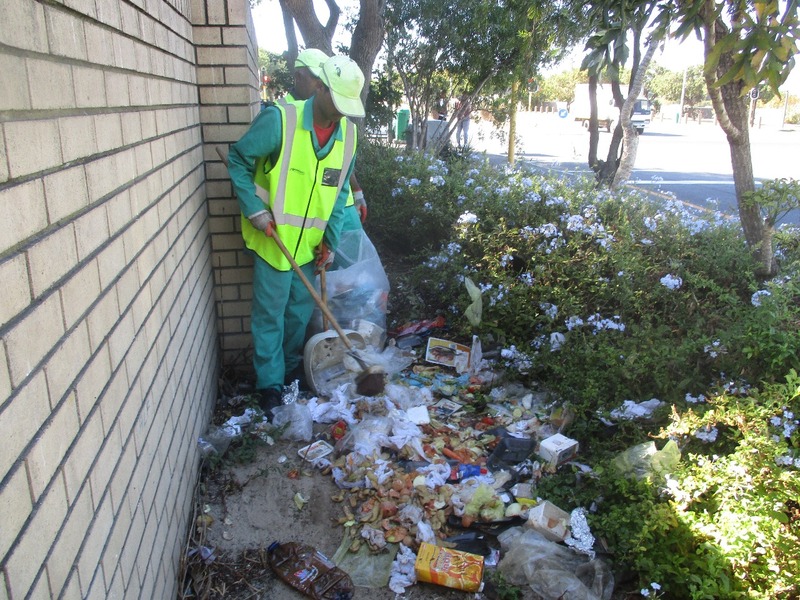 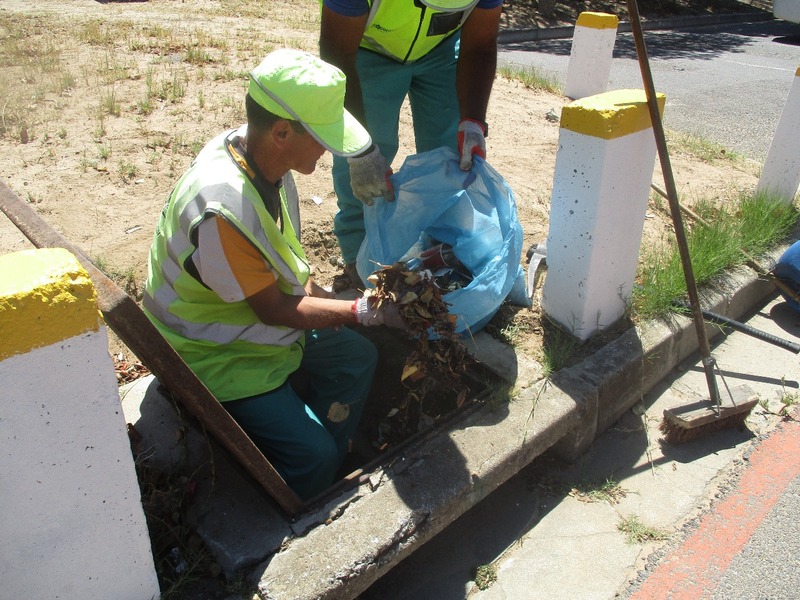 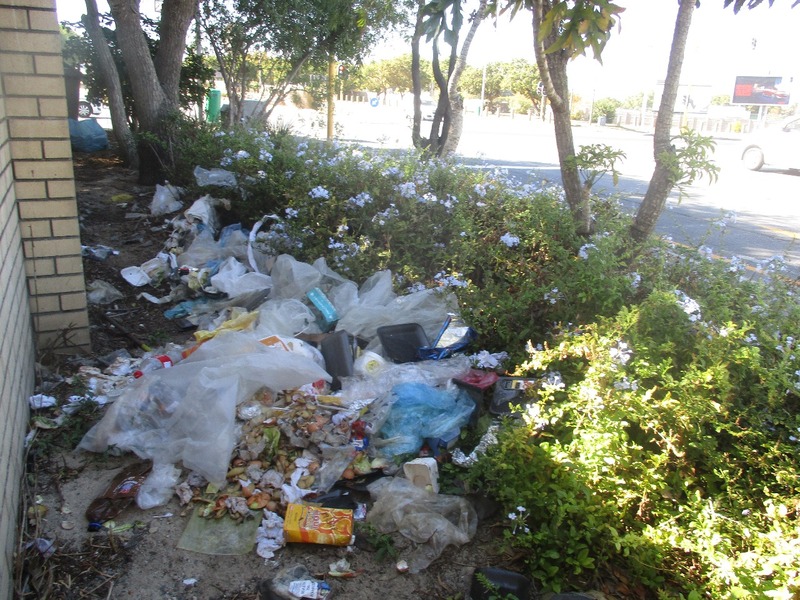 One of the most unpleasant tasks for the TVID Cleaning and Maintenance Team is when they are deployed to pick up illegal dumping, especially if is as messy as depicted by the photographs taken at the back of Spar in Willie Van Schoor Street.